Check us out anonymously as long as you'd like, or dive right into life at Open Arms. You choose how and when you want to connect with our church family. We understand that people may need time as they check out the core beliefs and vision of a new church. Do you ever get calls like this? The caller, addressing you by your full name (even though you’ve never spoken to them before), proceeds to inform you about an exciting new offer for something you don’t need … or they describe the new gutters that your neighbors recently had installed (and you should too). In either case, such conversations are typically unwelcome if the caller seems to know a lot about you but won’t disclose a single fact about themselves. Here at Open Arms Church, we do the exact opposite. We will gladly share anything and everything about our own beliefs, our own values, our own vision, etc., without asking you to step forward, make a commitment, or even disclose your last name – until whenever you may be ready to do so. Do you love what you see in this local body of believers and want to make yourself known? Great! Let us know. Do you want to check us out anonymously for a while before pursuing the idea of making this your church home? Great! Keep coming! Central to this biblical account (and central to our core value of honoring one’s privacy) is the understanding that “no one can come to Jesus unless the Father who sent Jesus has drawn them” (John 6:44). If you’re a visitor seeking spiritual truth, our prayer is that God is drawing you into His family – an eternal family whose affiliation far supersedes being a member of the Open Arms family. If you’re visiting Open Arms as someone who has already been adopted into God’s family, and are seeking to find what local body of believers He has designed you to join (see 1 Corinthians 12:12-27), our prayer is that God will make it clear where you belong. Many of us, when first walking into a room full of new people, prefer to sneak into a seat in the back in order to observe the relational dynamics. 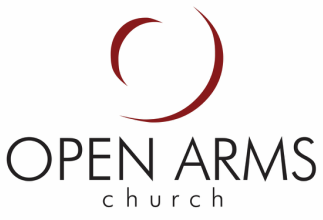 At Open Arms Church, we intentionally want to allow you to be that person. Sit in the back and observe for as long as you’d like. Whenever you have a sense that this is the place where God wants you to belong, let us know. We’ll be happy to learn your last name.